May I Disagree With David Brooks, For Once? 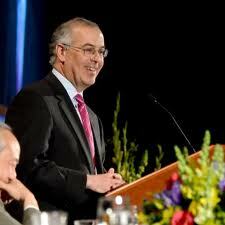 I usually agree with most of what David Brooks writes in his twice-weekly column in The New York Times. He is one of my hero-commentators. I love his balance. I love his consistent insight that politics is understood through culture, not the other way around. After two visits to my campus, at my invitation, we keep occasional email contact. I read him faithfully. But Friday’s column misses the mark. To set the stage, here’s the link: http://www.nytimes.com/2012/08/31/opinion/party-of-strivers.html?_r=1&ref=opinion. While I have no desire in this space to pick sides over what took place at the convention in Tampa, I think Brooks misreads a deeper theme running through so many of the speakers. He says there was too much trumpeting of crass materialistic aspiration. Too much raw American individualism. Speakers were pandering to a baser desire that hard work will be rewarded with bigger cars and bigger houses. I heard something quite different. I heard a real fear that opportunities for the young are dwindling. If we burden the young and their parents with a bleak view of the future, and if we lose this sense of opportunity, this ability to dream for something better, we lose something very precious. We lose a driving energy that has made our country innovative and productive beyond measure. Condoleezza Rice, whom Brooks rightly praises, said her parents insisted that she could become president one day, even though, in Jim Crow Birmingham, she could not eat a burger at the counter of Woolworths. I was moved by her story. This was a good story of aspiration. Marco Rubio said his Cuban immigrant father tended bar at the back of the ballroom so that one day his son could stand at the podium in the front. I was touched by that sense of genuine aspiration, a belief in opportunity, by both father and son. The narrative woven by these and other speakers was that hardworking parents had a dream that their children could rise above limiting circumstances. There was a belief, now threatened, that opportunities were out there, that with hard work, talent and ingenuity, a bit of luck, everyone could make a go of it. Can we revive that sense of opportunity? That was the question behind so many of the stories. And all for crass material gain? Maybe I grew up in very different circumstances, with a father who had to leave the family farm in the Midwest during the Depression, in part out of desperation for one less mouth to feed in a family of twelve. He headed out West to make a living, sending earnings back home. The drive was survival, but it was also built on confidence that he could rise above desperate circumstances. My dad caught a vision that he could develop raw Phoenix desert into something useful for an explosively growing city. Most certainly he was motivated by material comfort for his family, but he was also motivated to build something good and lasting, something that contributed to the common good and to the lives of others, something in keeping with his understanding of God’s kingdom breaking into the world. In the end, he gave away much of his wealth. In the end, he built a life that was productive and meaningful and self-giving. I just don’t interpret my dad’s life as superficial striving for something crass. And I didn’t interpret so many of the speakers in Tampa that way. Our job in this election, and even more broadly, is to make sure that all of God’s children, and their parents, can dream big dreams of leading productive and meaningful lives. The other path is full of cynicism, and that’s not a path I want to choose.